If someone told you on Opening Day that either the Cubs or Mets would represent the National League in the 2015 World Series, you probably would have looked at them like they were crazy. Here we are though, just hours before the first pitch to Game 1 of the NLCS between the Cubs and Mets. Last year, neither team even won 80 games. This season, both won at least 90, with the Cubs winning 97. Needless to say, this was quite a turnaround season for both franchises. Back in the ’60s and ’80s (both were bad in the ’70s), the Cubs and Mets were pretty big rivals with one another as they both played in the National League East division. When the Cubs moved to the NL Central, the rivalry dissipated as the number of games played between the two teams each season was significantly cut back. Now, the rivalry will likely be making a comeback. The Cubs got to this point by drafting and trading for the top hitting prospects available to them. 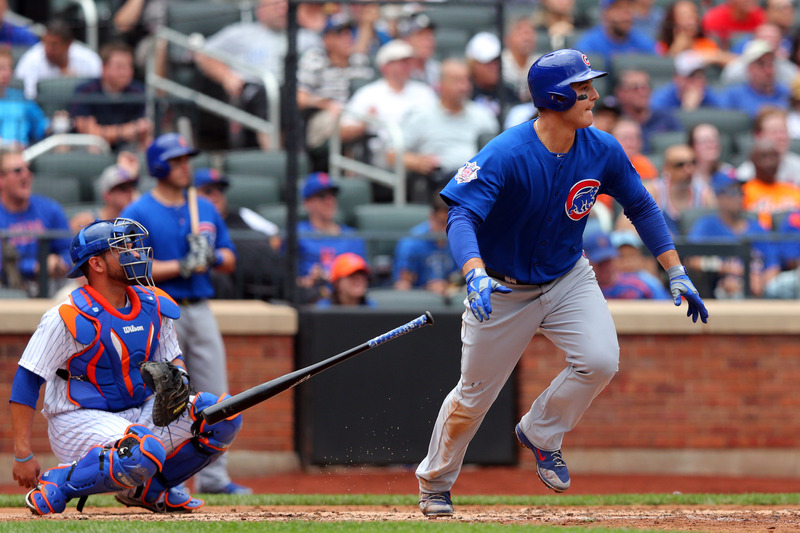 They stockpiled top youngsters such as Javier Baez, Jorge Soler, Kris Bryant, Addison Russell, and Kyle Schwarber to go along with players they already had like Anthony Rizzo and Starlin Castro. The hope was that these guys would all reach the majors by the end of 2016 and then theoretically become everyday players in the Cubs lineup. No one anticipated the whole group of them to arrive this early to be this good so fast. The Cubs now have themselves one of the best offensive lineups in the game and are loaded with power from top to bottom. Signing Jon Lester and having Jake Arrieta pitch a Cy Young-worthy season solidified this ball club as one of the best by early August. As for the Mets, they followed the same formula as the Cubs, only they went after the best arms available. Guys like Matt Harvey, Jacob deGromm, and Noah Syndergaard were once just “big name prospects,” but now they’re three of the game’s best pitchers. To go along with that three-headed pitching monster, the Mets traded for Yoenis Cespedes at the trade deadline to bolster their offense. Since that point, the Mets have had the best offense in baseball. Do not let the pressure affect performance. That the Cubs have reached this point of the season is a huge deal for this city and is making national headlines. There is bound to be enormous pressure from the fans and media for the Cubs to win this thing, but they have to ignore all of that and focus on playing baseball. Be patient at the plate. The Mets know that the Cubs’ hitters led the league in strikeouts this year, and they will no doubt try and get the Cubs to chase pitches out of the zone. It is imperative that the Cubs be patient in the box, see as many pitches as possible, and ultimately drive up the Mets’ pitch counts. The Cubs did a great job at this during the second half of the season, and they need to keep it up. Javier Baez. Addison Russell quickly became one of baseball’s best defensive shortstops since moving over there from second base. Now, he’s sidelined for at least the whole NLCS with a hamstring injury. Enter Javy Baez. When Baez replaced Russell at shortstop midway through Game 3 against the Cardinals, he made a couple of bad errors that nearly cost the Cubs. He has always been an elite defender, but it looked like the nerves got to him in Game 3 of the NLDS. He needs to put that behind him and get back to his old ways at short. We know what he can do offensively, but he has to be good defensively as well. Lester and Arrieta. Kind of an obvious one here, but it can’t be overlooked. If these two do not pitch well this series, the Cubs will likely lose. Lester will get Game 1, Arrieta Game 2. Having them both pitch well right off the bat and giving the Cubs a chance to steal one or both of the first two games would be big. Arrieta did not have his best game in Game 2 against St. Louis, yet the Cubs still won. He needs to get back to dominating the opposition like he did the entire second half of the season. Getting first pitch strikes will be huge for each pitcher. Hendricks and Hammel. After Lester and Arrieta, the Cubs’ starting rotating takes a hit. Both Hendricks and Hammel were able to pitch just well enough in the NLDS to get the Cubs two wins against a tough Cardinals offense. They’ll need to provide more quality innings against the Mets and get at least one win between them. Lastly, the bullpen. Again, pretty obvious here, but it needs to be discussed. 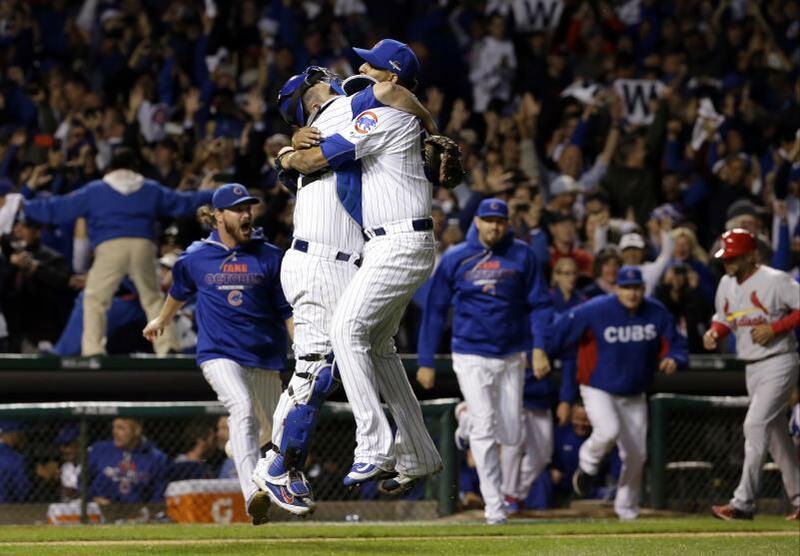 The Cubs’ pen was very good against St. Louis and a huge reason why they are now in the NLCS. To win the World Series, you need a stellar bullpen. Guys like Travis Wood, Trevor Cahill, Clayton Richard, Pedro Strop, and Hector Rondon will inevitably be called upon to pitch in tough spots this series. Their ability to pitch out of those jams could determine the series winner. These are two opposite teams in terms of how they win games, making it tough to predict who will win. That being said, the Cubs are my favorite to advance. Their one-two punch of Lester and Arrieta, along with their powerhouse offense should overcome the Mets’ pitching. Add in that the Cubs have arguably the best bench in the league, and they’re hard to pick against. This should be a fantastic series. -Cubs in six, maybe even five. In 24 hours from now, the game will have been played, a team will have won, and a memorable moment or two will be etched in our minds for the foreseeable future. Either we’ll (hopefully) be talking about a Cubs-Cardinals showdown in the NLDS, or once again next year. But in all honesty, regardless of what happens in tonight’s Wild Card game between the Cubs and Pirates, there’s reason to be optimistic about this Cubs team for years to come. This was supposed to be a “stepping stone” season for the Cubs, meaning they would hopefully win around 84 games and begin their push towards sustained success with their mostly homegrown talent. Instead, the train arrived a bit early on the north side, and we witnessed this team reel off 97 wins; good for third best in Major League Baseball. This massive turnaround from last season to this season started last October when the Cubs announced that they had hired Joe Maddon to be their next manager. Then a couple months later, Jon Lester signed on to become what we thought would be the Cubs’ newest ace. The pieces were all coming together. 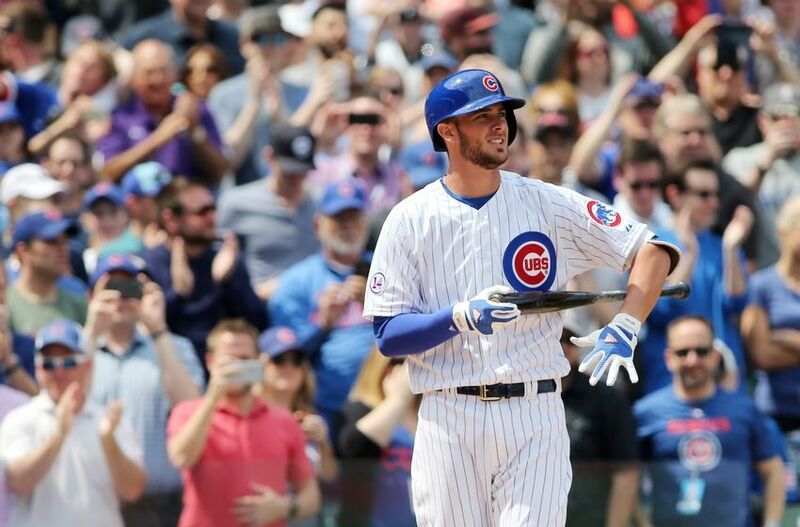 In spring training we saw Kris Bryant display his full offensive potential while lighting up the Cactus League and becoming the talk of baseball. Lost in his publicity was the performance of other top Cubs prospects such as Addison Russell, Kyle Schwarber, Jorge Soler, and even Javier Baez who knew he had to turn his game around after a disappointing late summer last season. None of those guys made the Opening Day roster other than Soler. After just a couple weeks of the regular season had passed, we finally got the much anticipated arrival of Kris Bryant in the big leagues. Not long after, Addison Russell followed him. 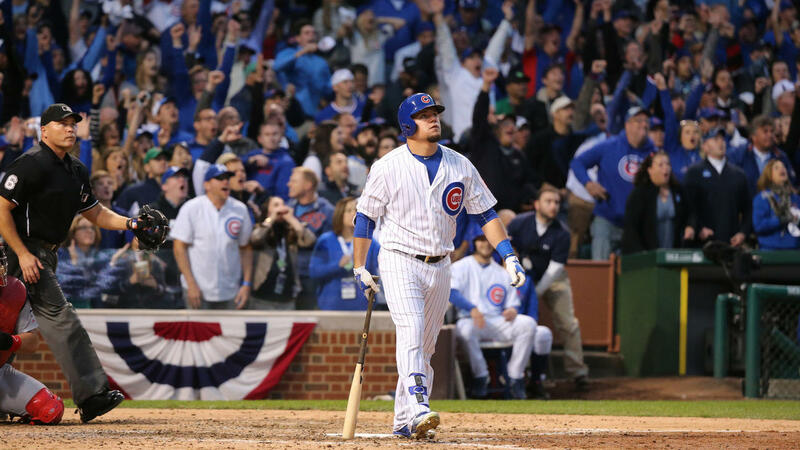 Then in mid-summer, Kyle Schwarber arrived way ahead of schedule and turned heads instantly. These guys surrounded Anthony Rizzo in the lineup to create what has to be one of the most feared rosters in baseball. Following the All Star break, Jake Arrieta started to take over all of baseball en route to what was a Cy Young-worthy season, and one for the record books. That this Cubs team won 97 games with such little MLB experience from most of their key offensive contributors is mind blowing. The confidence that these guys have displayed all season long and even heading into tonight’s Wild Card game has been incredible. This new wave of Cubs players may only be in their early 20’s with limited big league experience, but you would never know it. And a lot of that has to do with the leadership of Anthony Rizzo taking these rookies under his wing and instilling in them the right kind of attitude. So regardless of what happens tonight, just remember this is only the beginning of what should be many years of success for the Cubs. For what may be the first time ever, we finally have a team that seems destined for a title before too long. Today, Cubs manager Joe Maddon spoke to the media in advance of Wednesday’s Wild Card game between the Cubs and Pirates, but would not reveal who he plans to start in the game. We all know Jake Arrieta will be taking the hill for the Cubs, but that’s about it. From there, there’s a lot of different options. With Gerrit Cole being named the starting pitcher for the Pirates, Maddon will likely want an extra left-handed bat in the lineup to counter Pittsburgh’s top righty. That’s where Tommy La Stella comes into play. La Stella has been one of the Cubs’ hottest hitters in recent weeks, and he does it from the left side. In a one game playoff like this, you’re going to want your best hitters in the game. That may mean leaving someone like Coghlan, Soler, or Baez out of the starting lineup, but in a situation like this, it is imperative to put your hottest bats in the lineup. Another factor to take into account here when looking at that projected lineup is defense. This isn’t the Cubs’ best defensive lineup, but it’s not bad. With the outfield at PNC Park being one of the largest in baseball, Maddon will likely elect to play Kris Bryant in left field instead of Schwarber. Why? Because Bryant is more athletic and can cover more ground than Schwarber. 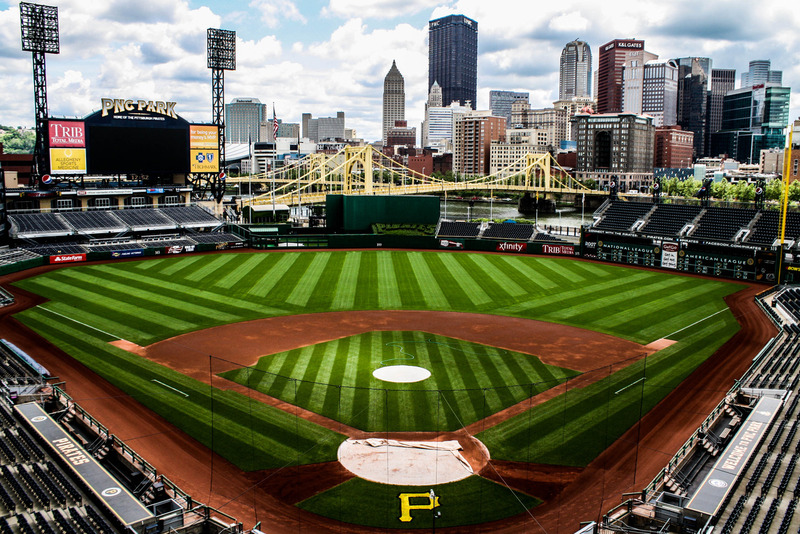 Left field holds a lot more ground to cover at PNC than right field. If it were all about defense, Schwarber probably wouldn’t even be in the lineup, but his bat can become crucial in a game like this. Speaking of which, the lineup that I have projected above is a pretty powerful one, minus La Stella. Basically every player in the order has serious potential to hit the ball out of the park at any time. This is the main reason why I believe Schwarber will be in the starting lineup. Against a pitcher like Gerrit Cole, who rarely makes mistakes with his pitches, you need a lineup going against him that is full of players who can capitalize on Cole’s mistake(s). Players like Schwarber, Bryant, Rizzo, Castro, Montero, and even Russell can do that. In these one game playoffs, there’s usually one player that leaves a huge impact on the game outside of the starting pitchers. My pick for that player in Wednesday night’s game is Addison Russell. You may be asking why not a guy like Rizzo or Bryant? While those two can certainly play an enormous role in a game like this, I really like what I’ve been seeing from Russell lately. His defense has always been elite and could be pivotal Wednesday night, but his bat has come alive here over the last couple of weeks. With him likely to be hitting out of the number nine spot in the lineup, his ability to get on base and drive in runs from the bottom of the order could be big. So there you have it. We’ll wait and see how Maddon elects to construct his starting lineup, but it’s a good bet it will be something similar to what I have listed above. The Cubs are coming into this week fresh off of a 9-game winning streak that was snapped by their crosstown rivals this past Sunday. It was their longest winning streak since 2008, which was also the last time the Cubs made the postseason. For the season, the Cubs are currently the proud owners of a 67-49 record; good for fourth best in Major League Baseball. The only problem is that two of the three teams with a better record than the Cubs are the Cardinals and Pirates, both of whom are also in the Central Division. 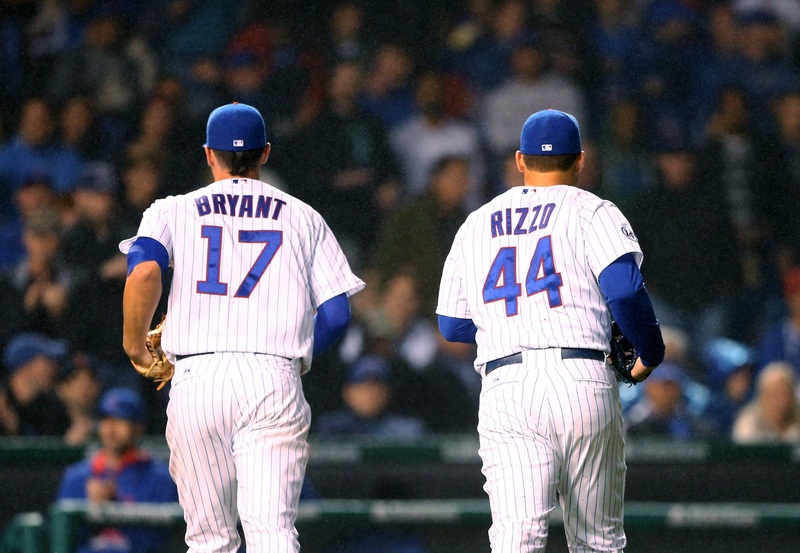 For the most part, the Cubs have been winning this year thanks to their starting pitching. Jake Arrieta is 14-6 on the year (those 14 wins are tied for the most in baseball) with a 2.39 earned run average and 0.99 WHIP. If he isn’t considered a Cy Young candidate, then something is wrong. Jon Lester is 8-8 on the season, but don’t let that record fool you. His 3.21 ERA and 1.18 WHIP are very respectable numbers. He has pitched much better the second half of the season after getting off to a slow start in April and May, and is now looking like the ace that the Cubs thought they were getting when they signed him. Jason Hammel has been one of the team’s more consistent pitchers all year despite a couple of rough outings as of late following his stint on the DL, and Kyle Hendricks has been up and down on the season but still owns an ERA under 4.00. Add in the acquisition of Dan Haren at the trade deadline, and you’ve got yourself a very respectable starting rotation with arguably the best one-two punch in the league. If the Cubs want to continue their winning ways as the calendar turns over to September, that starting pitching will need to keep doing what they have been doing. However, not everything falls on their shoulders. For the better half of this season, the Cubs’ offense has been underwhelming. Sure they have Anthony Rizzo whose stat line (.296 AVG, 23 HR, 68 RBI, .407 OBP) is among the best in baseball, but guys like Castro, Bryant, Soler, Fowler, and Russell have gone through some prolonged slumps that really hurt the Cubs at times. Some of that was to be expected, especially with the rookies who are still getting used to big league pitching and need to learn to adjust to it just like the pitchers have adjusted to them. But if the Cubs really want to be serious about making a run in October, the offense needs to stay clicking like it has of late. Since the All Star break, the Cubs have seen their team on-base percentage, batting average, and OPS (on-base plus slugging) all rise by a fair amount. Guys like Dexter Fowler are getting on base much more often, and the addition of rookie Kyle Schwarber has been huge. One noticeable difference lately with the Cubs’ offense has been their tendency to see as many pitches at the plate as possible. They are not a free-swinging team like we’ve seen in recent years. They’ll have the opposing starter’s pitch count up into the 30’s or 40’s by the end of the second inning on a regular basis, which is extremely important. Right now, the Cubs currently own a 4-game lead over the Giants for the second Wild Card spot in the NL, and sit just 2 games behind the Pirates for the top Wild Card spot. If the Cubs want to end the season as at least a Wild Card team, their offense needs to keep on rolling. The pitching has been there for them all season, but now that the offense has started to figure things out at the plate, we are seeing a big increase in win percentage. If they continue to play the way they have as of late, this will be a tough team to beat down the stretch and into the playoffs. Starting pitching. It seems obvious, but it’s undeniable. Without above average starting pitching, you have no shot. Arrieta and Lester need to continue leading the staff while the other three deliver quality outings more often than not. Getting six strong innings from Haren every fifth game would be huge. Keep getting on base. Everyone wants to look at batting average, home runs, RBI’s, etc. On-base percentage, however, is arguably the most important offensive statistic there is. If you’re not getting on base, you’re not scoring. Over the past month and a half, the Cubs have improved greatly in this category, and they need to keep that rolling. Bullpen. There are still some big questions regarding the Cubs’ pen. They have been using a “closer by committee” approach recently with guys such as Rondon, Motte, and Grimm all getting save opportunities. Rondon figures to be the best bet to be the closer, but even he still needs to find more control with his pitches right now. The bullpen has been better the second half for the most part, and it’ll need to be strong from here on out. Run prevention. The average fan does not think of defense when looking at what makes a team so good, but run prevention has become a prominent factor in deciding who the really good teams are in recent years. As a team, the Cubs have seen better defense this season than in previous seasons, and it is a big reason why their record is what it is. There is still room for improvement, though, and it will need to get even better starting now. Get some hot streaks. Rizzo has had some incredible streaks at the plate this year, and the Cubs will need other guys to follow suit over the last month and a half. If Soler can finally find his power and start putting baseballs into the outfield stands, and if Kris Bryant can somewhat close up that huge hole in his swing and string together a few solid weeks at the plate, this team will be in good shape. Some of those keys may seem obvious, but that doesn’t make them any less important. This is a good Cubs team and the best one we’ve seen in seven years. Getting home field advantage for the Wild Card one-game playoff would be huge, and it is within their grasp. As is the case every so often, I’ll take a quick break from writing about hockey on here and shift the focus to baseball. Particularly, Cubs baseball. After promoting baseball’s top prospect, Kris Bryant, to the big league’s last Thursday, the Cubs made another big announcement late Monday night by recalling the game’s number four prospect: Addison Russell. It was widely known or assumed that Bryant would be on the Cubs’ roster by May, but things didn’t seem to be as sure for Russell. With Mike Olt getting injured just a few games into the season, the Cubs were all of a sudden left with a gaping hole at the third base position. They got by for a handful of games with what they already had on the big league roster until enough games had passed where they could bring up Bryant without losing a year off his contract. So that problem was quickly and not surprisingly solved. The other glaring problem with the Cubs’ lineup has been second base. Arismendy Alcantara was supposed to be the guy to hold down that position for the time being, but his early season struggles have led the Cubs to their next big call-up. Addison Russell, who figures to be a shortstop in the long run, had started putting some work in at second base recently, which raised some eyebrows and some questions regarding his immediate future with the organization. Are the Cubs just trying to get him used to another position, or do they want him coming up to Chicago sometime soon to play second base? As it turns out, the front office wants him starting tonight at second base for the big league club. I think most people, myself included, expected Russell to see his first big league action somewhere between June and July. However, most people weren’t really expecting the Cubs to have such a dire need at second base either. The Cubs feel he is ready to make the leap from Triple A to the big leagues. In eleven games with Iowa this year, he hit .318 with 1 home run, 9 runs batted in, and an .803 OPS. His fielding has never been a concern. Theo Epstein and Jed Hoyer are going for it and feel that this team and its young players are ready to compete for a playoff spot. If they didn’t believe that the playoffs were a real possibility, my guess is Russell would still be in Iowa. The Cubs have gotten off to a 7-5 start to the season, which is by far their best start in many years. Anthony Rizzo and Starlin Castro have proven that they are good MLB players, with Rizzo looking like a perennial All Star and a cornerstone piece of the franchise, and Castro continuing to hit while improving defensively. Jorge Soler, who debuted with the Cubs last summer, has adjusted extremely well to the big league game and is off to a great start to the year. Many “experts” have him pegged as this year’s NL Rookie of the Year. Then you have recent addition Kris Bryant, labeled by many as the savior of the Cubs franchise. He has played in four games with the Cubs while hitting .429 with 2 doubles and 4 runs batted in. Oh, and his early OPS is 1.150. Now that you add Addison Russell into the equation and take into account his potential, the Cubs’ lineup is suddenly loaded, and all with young talent. The average age of their infield is just 23 years old. And don’t forget about the Cubs’ pitching staff. Jon Lester, while off to a forgettable start to the season, is a true ace and figures to turn his game around sooner than later. Jake Arrieta is coming off his best season a a pro in 2014, and is already 2-1 with a 1.74 ERA this year. Then you have Jason Hammel, Travis Wood, and Kyle Hendricks who have all pitched well and provided reason for optimism. Also, the Cubs’ bullpen is no pushover. Prior to Neil Ramirez getting hurt, they had the best bullpen ERA in the National League. I see no reason for their ‘pen to become a weakness. Most people would say that this team’s weakness is their inexperience and starting rotation. Well I have a response to each. 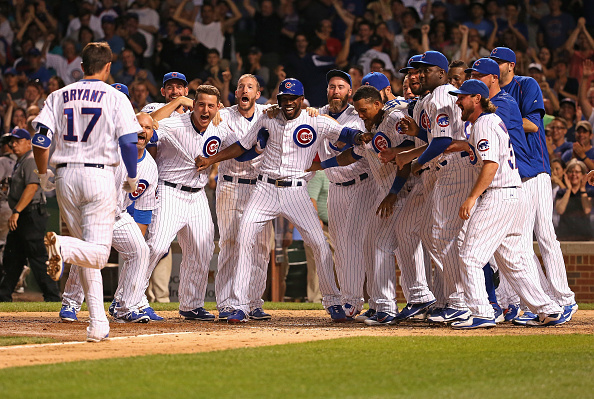 The Cubs may be young, but they don’t play like it, and they don’t think like it. Epstein, Hoyer, and Jason McLeod draft players who not only possess great talent, but possess great maturity for their age. It doesn’t take a fool to see that while watching the likes of Rizzo, Soler, and Bryant, just to name a few. Secondly, the starting pitching of the Cubs wasn’t bad last year, and only got better this year. If the team continues winning games and is in a competitive position in the standings at the trade deadline, I would expect Epstein to deal for another top of the line starter in exchange for any combination of current (available) Cubs prospects. 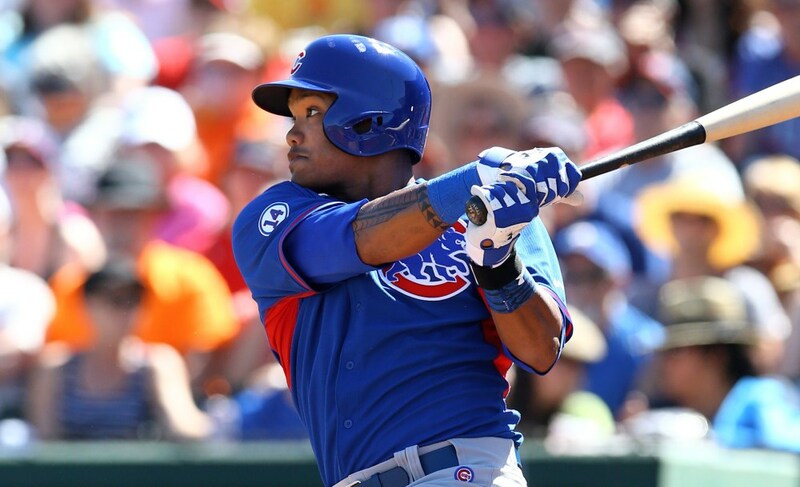 Starlin Castro and Javier Baez could be potential pieces to any such trade. Obviously there is still A LOT of season left, but there is more reason for optimism with this team than we’ve seen in a long, long time. If the first twelve games are any indication as to how the rest of the season will play out, it’s going to be one hell of a fun summer on Chicago’s north side.